Branson, MO – February 6, 2019 – After completing their eighth season at the Little Opry Theatre in Branson in December, award-winning bluegrass band, The Petersens, traveled to Ireland for a nine-stop tour. 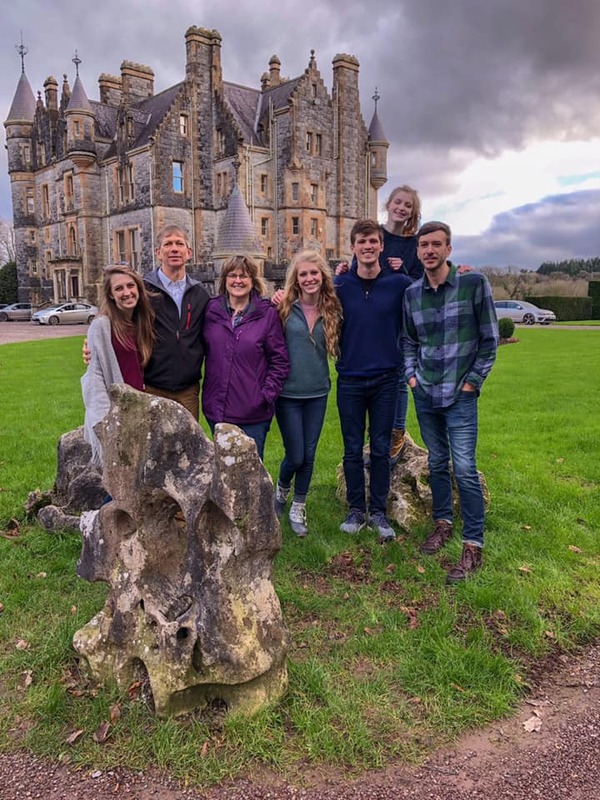 Before embarking on their musical tour, The Petersens visited parts of England, including Oxford where Musical Leader and Fiddle Player Katie Petersen studied in 2015 and the Lake District. They also traveled to the highlands of Scotland and to Edinburgh before arriving in Ireland to begin their tour on January 19. The nine-consecutive-day tour began at the Shannonside Music Festival at Bunratty Castle, where The Petersens were double billed with the Grammy-nominated bluegrass band, Special Consensus. 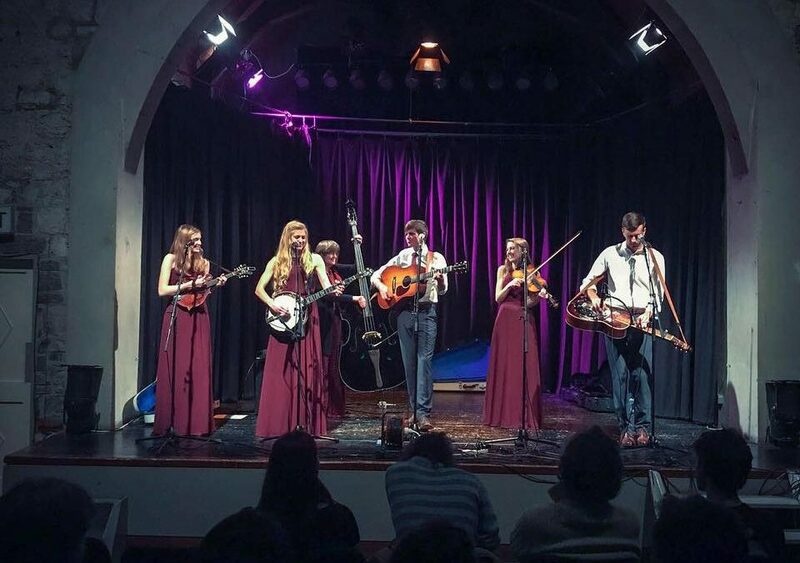 During their performances at the Schoolyard Theatre in Charleville, Co. Cork and at the Community Hall in Ballydehob, Co. Cork, they shared the stage with Irish family bluegrass band, Cup O’Joe. The tour finished on January 27 at the Old Schoolhouse, a restored centuries-old school, in Clashmore, Co. Waterford. The Petersens will bring their tight harmony and sibling humor back to Branson in 2019. 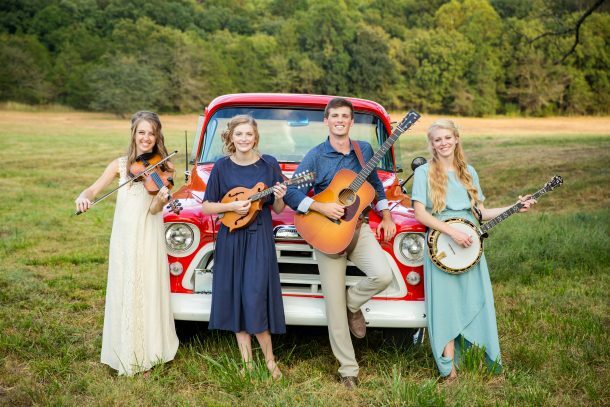 They will perform their bluegrass show on Saturday evenings in February and their gospel show on Sunday afternoons through March 10 at the Little Opry Theatre. Beginning March 13, The Petersens will perform Wednesdays through Sundays at Dockside Theater at Silver Dollar City, in addition to Tuesdays at the Little Opry Theatre. It looks like your tour was very successful. I have been to Ireland many times and always enjoy the Medieval Banquet at Bunratty Castle. Hope you got to kiss the Blarney Stone while in Ireland. We spend our summers in Branson, and always attend your show. My husband loves Bluegrass music and we think the Peterson’s are terrific. Every member of your family is so very talented.